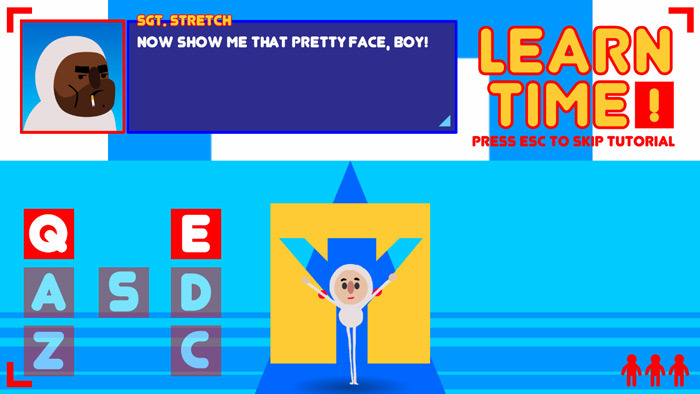 "An addictive little dancing game, make some shapes!" 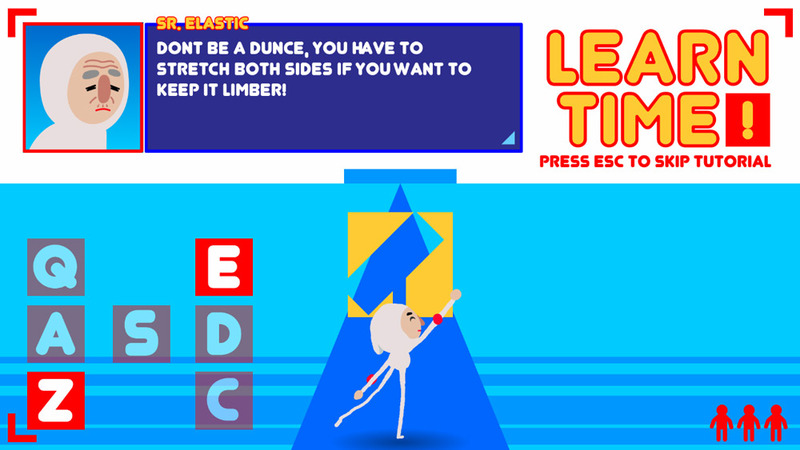 Limber is a fun and addictive little game that was made for one the Ludum Dare game jams, you play as little man who is very limber and good at dancing as boards approach you, you must make the right shape to fit through the moving boards as they come towards you, using the keys on the keyboard you can make different combinations of shapes and dance your way through the moving boards. 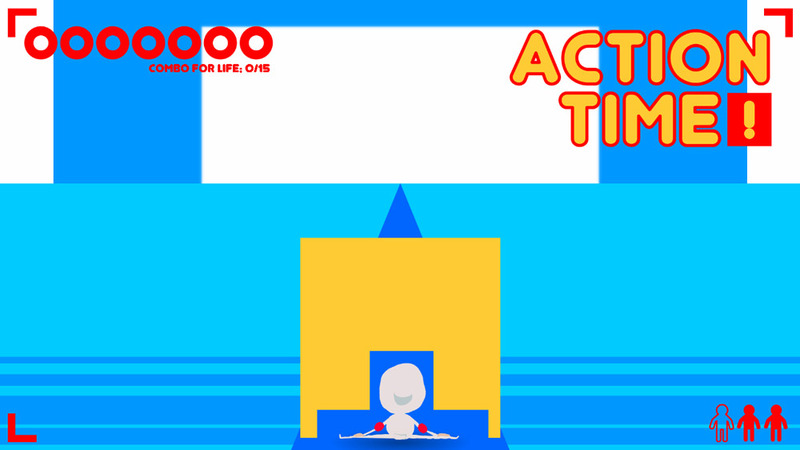 The game also features some very enjoyable electronic style music to accompany you with your dancing, and after a brief tutorial teaching you how to make the basic and more complex shapes you will be thrown in to your first game you get 3 chances to not make the right shapes before the board will knock you off the platform and to your certain death, although you can always restart and your friend has offered to kindly take care of your dog if you should die! 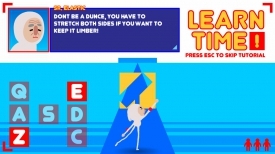 Limber is a very addictive and yet simple game to pick up and play especially if you only have a couple of minutes to spare, you can download Limber here for free.